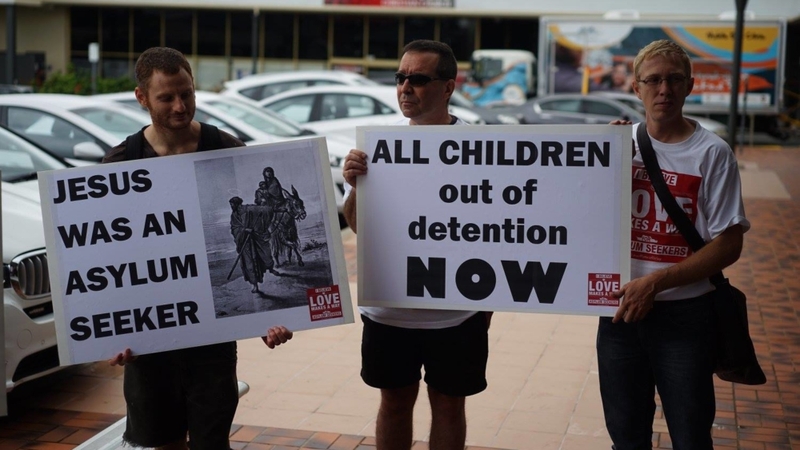 Martyn Iles, the Managing Director of the Australian Christian Lobby (ACL), says that the Government has got to solve the humanitarian crisis on Manus and Nauru, and do it fast. Manus and Nauru is now a single issue uniting most Christians in criticism of the Government, with the ACL joining organisations like Micah Australia, World Vision, Common Grace and Love Makes a Way, along with the leaders of most of Australia’s mainstream church denominations, all calling for an end to humanitarian crisis of offshore detention. The ACL hasn’t always been vocal on this issue, though. “The reason is because at the time with the border control stuff, ACL’s position was ‘Look, definitely control the borders… however, make sure that the refugee intake is extremely generous, because we should be very generous and we should be bringing refugees to Australia. But the best thing is for it to be done through proper channels, to stop the people smuggling and to stop the deaths at sea’. So that was the position of ACL,” Iles explains. Instead, Iles understands why Government leaders would get upset when faced with “a lot of protest, but not a lot of workable answers”. “It’s particularly tough. Like, it’s hard. The first thing the Home Affairs minister will say for example is ‘Look if 900 people from Nauru all come to Australia in one fell swoop, you’ll have boats out on the ocean coming within 24 hours. “There may be a lot of truth in that, but you’ve got to work through all of those issues and come up with something that is practical. I’m confident that there is something practical, if only because even if the solution was not perfect, it’s better than the current situation. So what is the ACL actually doing? Despite his approach being quite different to the tone other Christians who have been campaigning on this issue for years, he does not critique those who have taken a more aggressive approach. Instead he seems acutely aware that the ACL is late to the party. As soon as Scott Morrison won the ballot, the ACL sent out a media release congratulating him on his role, saying they’re looking forward to continuing the discussions about religious freedom they began with Turnbull, and also stating that that it was a good opportunity for the government to follow its legacy on border protection with a solution to the humanitarian crisis on Nauru and Manus. “I deliberately made sure that was not only sent to all the press as we would usually do, but it was also sent to all the politicians. So every federal politician got it in their inbox.” Iles says. From Iles’ perspective, it would be smart politics for Morrison to find a humane solution for those people who he describes as “languishing on Manus and Nauru, with no hope”. Iles is realistic about the task ahead. I sort of had to say to them, ‘We’re not just Coalition voters. We’re Christians’. So far, he’s been encouraged by the response. “I’ve actually spoken to lots of people in the Government, in the coalition, and what’s encouraged me is that there’s very broad support amongst Government members, for solving this, which surprised me, actually. And encouraged me. He says he is ready for the backlash from politicians who assume they will have the ACL’s support, as recently happened when the ACL upset the Nationals in NSW by running a campaign against them. Iles’ voice joins a rising chorus of Christian leaders who’ve previously been hesitant to engage in the politics of Manus and Nauru, but who’ve recently spoken up on their personal social media channels, including some Hillsong pastors and worship leaders. Few conservative voices have been more clear than Iles’.